Hype doesn’t come exclusively from GABF medals. For example, WeldWerks Brewing in Greeley, Colorado has an extremely dedicated, cult-like following of fanatical brand champions. But there were no GABF medals awarded to the ambitious brewery in 2018. Hype doesn’t come exclusively from a beer just being good—not without word-of-mouth or an intense marketing campaign, anyway. Ever had any of the barrel-aged stouts from River North Brewing? If you have, you know exactly how damn good they are. But few people in the craft world really know… so how can one hype that which is unknown? Hype doesn’t come exclusively from longevity. Otherwise, we would probably all still be drinking Fat Tire and Sierra Nevada Pale Ale. Not that there’s anything wrong with that. So however hype is born, it DOES follow a beer around for a long time—even as the beer world changes around it (think: Pliny the Elder). 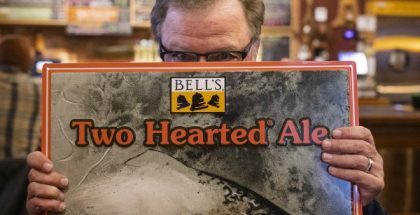 So when Two Hearted Ale, All-Day IPA and Brooklyn Lager did manage to make their way to Colorado, the expectations of drinkers in our craft-savvy market were sky-high. Think about your favorite go-to beer. Now, think about having to move to another state where that beer is not distributed. Heartbreaking! Then, let’s assume three years later, your favorite beer is finally being distributed in your new home town. Great day, right? You can’t wait to tell everyone how the “best beer in the world” is finally arriving. Only, no one really believes you—at least not fully. Why should they care? They have the latest variant of Super Juicy Fun Time on tap at the local brewery down the street; they don’t care about your tired, old, clear IPA from the Clinton era. Still, you persist. You insist that your favorite beer IS the best beer in the world and you threaten to break up the band if everyone doesn’t try it when it becomes available. When the magical day arrives, you stock up on 12-packs for your beer fridge (which is okay, because you know the beer will actually still be good after a couple of months). Your friends join you for this momentous occasion—partly to shut you up—but also because the hype has made them genuinely curious. After one beer, nobody is impressed. As a result, your fragile, hop-soaked heart is broken, irreparably. Your friends have now become your enemies. People whose opinion you once valued have become nothing but snobby, hipster hazebros. “Fine! Go back to your hazy, orange-juice streudelbraü then! I’ll be over here drinking REAL beer,” you yell as you sulk in the corner. Only the truth is, your favorite beer—the one you’ve stuck up for so adamantly all these years—doesn’t taste the same to you anymore, either. In a world of Juicy IPAs and Quadruple Dry-Hopped Ales, your taste buds have gotten used to a certain extreme level of flavor. And that’s precisely where the progression of craft beer has taken us: We have fresh, quality beer in every direction. 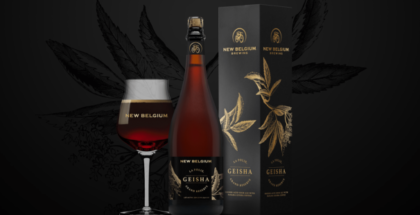 But still, our adventurous nature gets the best of us when we see a new beer in the liquor store that has survived decades of craft evolution. On top of that, we have our transplant friends buzzing in our ear about how great their home-state brew is. So we’ll most likely end up trying these beers to see what all the fuss is about. 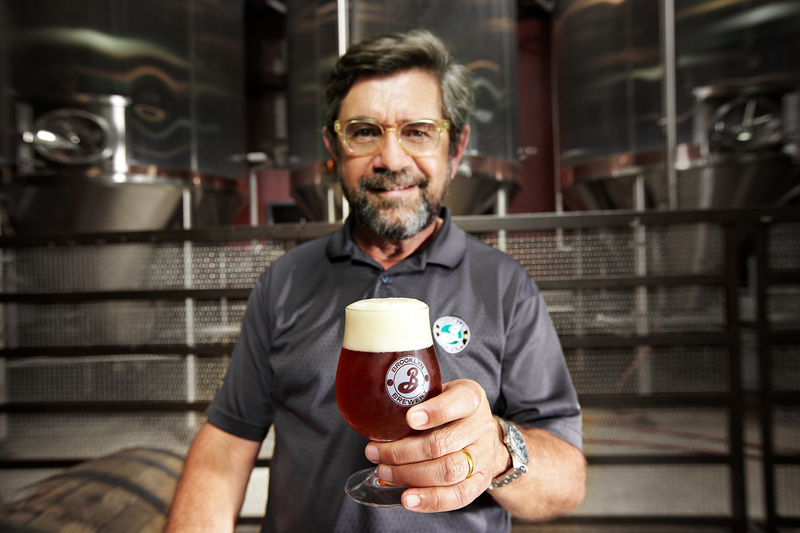 “We went in with our eyes open, knowing that Colorado is a very competitive, mature market. You have to have a lot of initiative behind a launch there and we’re really happy to finally get out there. I remember when people came from Colorado to Kalamazoo to trade New Belgium for Two Hearted, and it was fun. 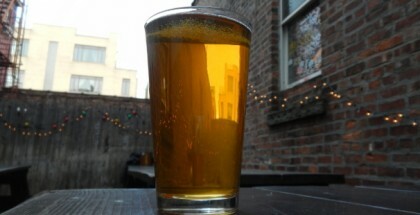 But it’s great to be in a market where there are a lot of very educated beer consumers,” Bell said. As craft beer enthusiasts, we tend to get lost in our bubble and forget about the rest of the drinking world. While the craft beer demographic continues to grow and diversify, it’s easy to forget that it’s still not the most popular form of booze, from a sales perspective. “Colorado is still like all other U.S. markets—it’s not so much craft-saturated as it is ‘premium beer’ saturated, so craft beer still has a long way to grow. 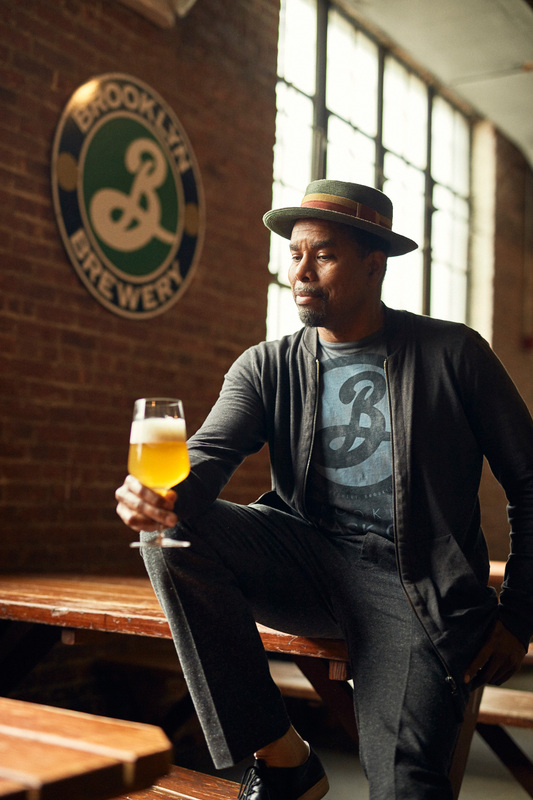 We’re psyched to be a part of that and we think our brands like Brooklyn Lager Bel Air Sour and Sorachi Ace are truly complementary and unique flavor profiles to add to the Colorado mix,” said Dave Duffy, vice president of sales and marketing at Brooklyn Brewery. So here you are, your refrigerator full of hyped-up clear IPA and no one to drink with. Compared to mouth-puckering sours, juicy hop-bombs and barrel-aged beers with ABVs that border on hazardous material, how can a simple, basic IPA compete? It’s a criminally punishable act in some states to waste beer, so you resign yourself to the fact that you’re going to be drinking your “favorite” beer for quite a while. So you go to your massively stocked beer fridge and grab another beer. Still, it seems bland and uninspired. Why bother pouring it into a glass? Might as well just drink this straight out of the bottle…there’s nothing fancy about this beer. About the time you’re halfway through your second beer, something magical happens. Your taste buds, which are exhausted from swimming through a hazy sea of juice, start to re-calibrate. Instead of tasting bland, boring beer, you’re tasting malt. You’re tasting hops. You’re tasting the cold, clean balancing act of a bygone age as the bubbles touch your lips. The smell and taste of the brew brings you back to your first foray into craft beer, reminding you of what got you started down this path in the first place. “Sometimes you need a nice balanced IPA to relax with. Sometimes you want an old friend… you don’t want someone in your face constantly asking you ‘what do you think?’ Socializing is a great part of the beer-drinking experience, but you don’t always want to have to analyze everything you drink,” Bell said. When you think about the beer market at-large, it’s hard to deny that traditional styles, like lagers, command attention. Whether or not we’ll see that trend greatly affect the craft scene in 2019 remains to be seen. But if you follow the cycle of trends and fads in any industry, you know that things do come back around full circle. 35 years ago this week our journey began when Larry Bell incorporated the Kalamazoo Brewing Company, which is now Bell’s Brewery. Thank you to everyone who’s supported us and #IndependentBeer ever since. Craft beers that have been around for a long time are there for a reason; it’s not an accident or lucky coincidence. We know that today’s perception of craft beer typically conjures up images of small breweries and experimental batches of beer—and that’s great. That’s what so many people love and will continue to love. But there’s nothing that says a beer can’t have consistent quality, have a large regional footprint and still be true to the heart and soul of what craft beer has always been. 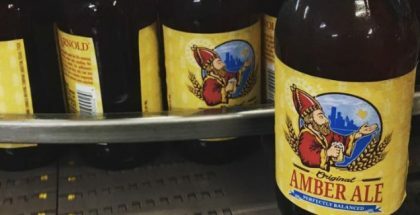 There has been a cheeky movement of sorts to “make IPA clear again.” La Cumbre in New Mexico and Comrade in Denver collaborated on a beer with that same name. For every trend or fad, there are people who will oppose it: That’s just human nature. Sometimes this opposition gets dismissed as “old people being set in their ways,” unable to accept anything new. But the truth is, tastes are always changing; everything is a cycle no matter what your age or generation. Still, the question lingers…with current tastes and trends, why bring non-hazy IPA to a hazy-loving market? Who leaves a country packed with ponies to come to a non-pony country? There is something to this whole “shelf life” thing. If you’ve ever gone nuts at a brewery and spent a half-year’s salary on six packs of special-release beer, you know the anxiety of having “best by” dates hanging over your head. You also might appreciate a beer with long shelf life if you’ve encountered the dreaded “sludge.” While there’s nothing harmful about sediment or floating flakes in your Milkshake IPA, it can still be off-putting. The issue is not isolated to hazy/juicy IPAs, obviously. Any traditional wheat beer can have yeast in the bottom of the bottle or can. 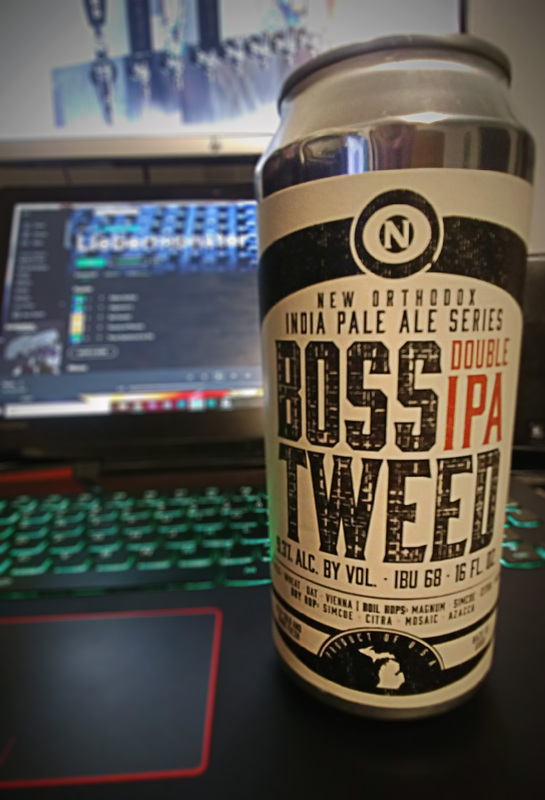 But, the issue is prominent enough that Old Nation Brewing Company tells you how to deal with sediment on the side of their label for Boss Tweed Double IPA. Of course, I didn’t have the foresight to take a picture of the “sediment” instructions. while I was writing this. Tasty beer though. 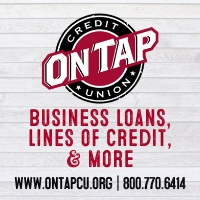 The other thing you might notice is an inconsistency in the liquid itself…it seems like the “juice” separates from the “beer” like an Over/Under Shot at Dave & Buster’s. But none of these issues are harmful or really impact the taste. What CAN be harmful, however, are some of the more serious problems encountered by craft breweries. In 2016, Left Hand Brewing had to destroy $2 million of beer after an issue with contaminated yeast (which was not the brewery’s fault, of course). In 2017, WeldWerks Brewing issued refunds for infected batches of several variants of its highly sought-after Medianoche series. While major issues with infection are infrequent, there is something to be said about a brewery that has a time-tested quality control process. And hey…one of the advantages of having a fridge stocked full of stable beers is that you can still buy your wild, experimental beers in smaller quantities so you can enjoy them as they were meant to be enjoyed—fresh! “Bell’s is the number one purchaser of Centennial hops in the country. So when we shop around, we get first dibs and we get to buy what we want. These old relationships matter; it’s one of the advantages we have of being around for so long. The quality of our ingredients is something you can always count on,” Bell said. Any size of brewery—no matter how long they’ve been in business—can have issues with quality control. But it does make sense that older and bigger breweries would have the process more dialed-in (and have more people to help with that process). Admiring classic craft beer isn’t about denouncing the “new” way of things. But when you’ve been in the industry as long as Bell’s, Brooklyn and Founders, you get a unique insight into the way trends ebb and flow. We live in a country of amazing diversity and a love of craft beer usually transcends any particular style. We can have a hazy IPA in one hand and a “Make IPA Clear Again” hat on our head. Craft beer is unifying, even in our differences of opinion. We can talk about craft beer with each other with great civility: The sour drinkers can share a beer with the hop-heads; the traditionalists can enjoy a dark lager with the whale-hunting pastry stout folks. Nowhere else in modern American culture can we have such a difference of opinion and still be friends. And that’s what craft beer is about— that’s why we celebrate the pioneers of this great movement that we all love so much. If it’s been a while, give one of your old favorites a try. Fall back in love, just in time for Valentine’s Day. It’s an absolutely stellar evening for our 6th Anniversary bottle share!